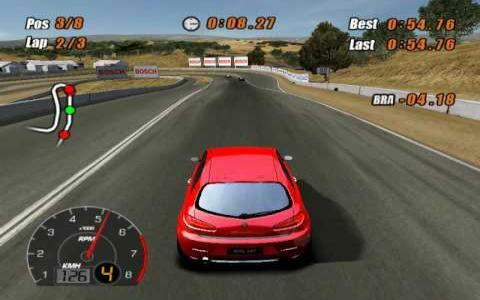 This is a curiously specialized racing game that adds in RPG elements to the standard Need For Speed template, and while it might work for diehard Alfa Romeo fans, for the average driving enthusiast, this is merely a middle of the road effort. It suffers from a poor physics system, with dodgy handling for the cars but is otherwise simply not anything worth getting exciting about. As the name suggests, this one offers only Alfa Romeo cars to drive and gives you several real world locations and tracks to race them around, including Hockenheim, Leguna Seca, Tuscany and Naples. You've got a number of modes to try out as well, such as Instant Action and Dynasty, with the latter being the main career mode. 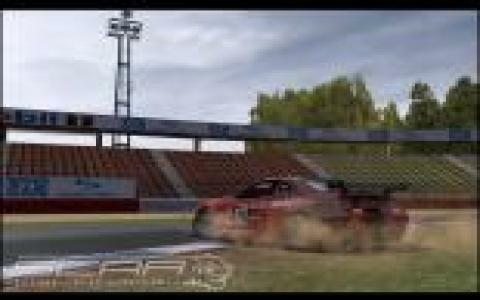 The RPG elements come in the way that you can tune your driver's skills as you want, as well as your car, with a number of fairly detailed aspects to tweak. For example, the Tiger Effect skill allows you to rewind the game in order to avoid dangerous situations, but there are also a number of others available. On paper at least, SCAR sounds like a decent enough racer and indeed, in practice, it's certainly quite enjoyable. The appeal is limited by the focus on Alfa Romeo cars, but even so, the variety of tracks and skills helps to mitigate this. There are problems with the handling system, which feels a bit on the sloppy side, while the visuals are pretty but a little dated and the RPG elements aren't implemented as well as they might have been. When you add all these elements together you're left with a distinctly average racing game that is easily avoided.